with an authentic heart and fulfilled soul! Magnetise Love. Boost your prosperity. Attract good fortune. Create synchronicity. Is Thrivecraft Coach training for you? of life, business and spiritual coaching. International Institute of Complimentary Therapists (IICT). members of the IICT and acquire professional insurance. “I am thrilled to have been running the Thrivecraft Coach training programme since 2013 – the tenth anniversary of my Coaching Practice, Thrivecraft. The vision to foster a community of Thrivecraft Associates and train a team of accredited Thrivecraft Coaches has been been there right from the beginning. And here we are, all these years later, passing on our special formula of Thrivecraft skills and resources. Coaches. Therapists. Practitioners. Trainers. Consultants. Educators. Care professionals. Community & charity workers. Social entrepreneurs. Ethical business people. Eco entrepreneurs. Media creators. Artists. Musicians. Performers. Case studies: 3 x case studies consisting of 6 x 1.5 hour sessions. Keep records. Complete study, case studies & business planning. Submit written assignment and completion statement. to refresh your life and set it in a new direction. A complete Life Coaching programme in weekend format. As well as standard Life Coaching processes, this uplifting and inspiring weekend will be laced with powerful teachings and meditations that bring magic into your everyday life. With a mixture of interactive practical exercises, talks and guided contemplation, there will be opportunities to ask questions and give your comments along the way. And there will be plenty of time to connect with other participants – typically a high quality group of open minded, friendly people. and the unique gifts you have to offer the world. your ideal clients, customers, investors and collaborators. * CLAIM your true self and do what you love. * CREATE prosperity with authenticity and grace. 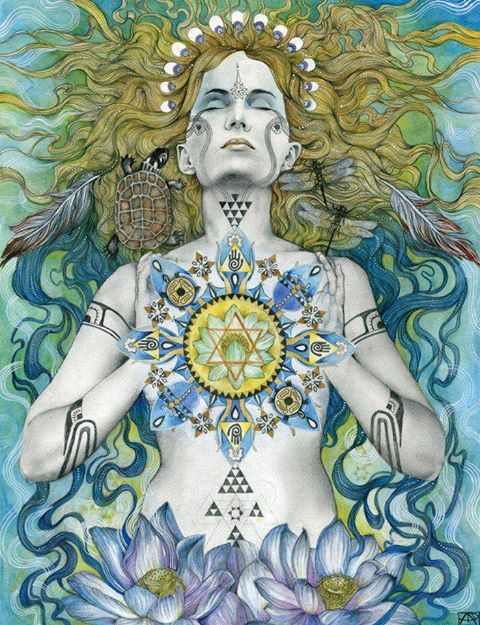 * ATTRACT opportunities, synchronicity and flow. towards greater creative expression, prosperity and fulfillment. to activate a rewarding shift in your life and business. This workshop has been specially created to help you make a shift in consciousness and allow abundance to flow into your life. To generate enthusiasm, ideas and plans to take action with an authentic heart and fulfilled soul. Boost your income. Grow your business. Up-level your prosprity. Life and Business Coaching skills for professionals, teachers, educators, coaches, therapists, business people and for personal, relationships and home life. Maggie Kay is founder of Maggie Kay Wisdom and Thrivecraft. We know about the Law of Attraction, have long been practicing affirmations and accept that “we create our own reality”. But have we REALLY got the hang of manifestation? Are we seeing all the positive developments you would like in our lives? There’s a subtle principle at the heart of manifestation practices that makes all the difference. It’s something that took me a while to grasp, and I’ve been studying and practicing these arts for over thirty years! The key is to be truly RECEPTIVE as well as positively focussed. As well as ‘asking’ for what we desire to come into our life, it is important to allow ourselves to really ‘receive’ it. If we are too narrow, tense or controlling, about the details of how or when our dreams will come to fruition, we risk repelling what we desire. We must be relaxed and open for it to truly ‘land’. In other words, as well as being clear, committed and focused on your desired outcome (100% intention), it is equally important to let go of any attachment to what may or may not happen (100% surrender). Letting go of attachment releases tension. YOU don’t have to figure out how or when it’s going to happen. YOU don’t have to control or manipulate events to make it happen. 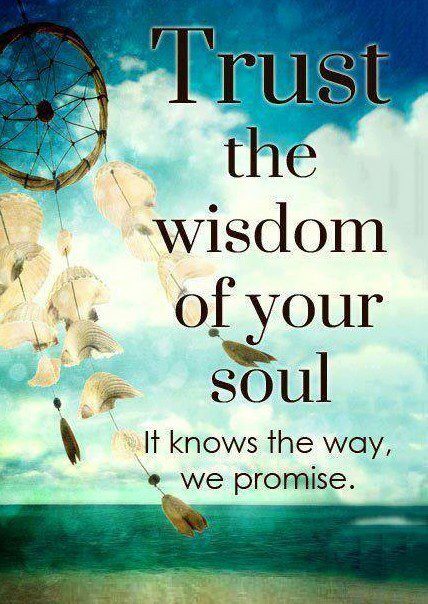 Instead, you surrender to a higher intelligence in the universe (God, karma, nature, destiny, law of attraction – however you experience it) and simply put your trust in the process. It may seem like a paradox – to be 100% intentional and 100% surrendered at the same time – but it’s not. An attitude of bright hope, eagerness and positivity combined with relaxation, faith and receptivity is completely magnetic! The true power of manifestation lies in our ability to lift our energy, our spirit, our vibration to the level of what we desire. Once we do that, people, events and opportunities match that energy and mirror it right back to us. If it’s a promotion you seek – imagine yourself happy in your new job. If it’s a soul mate – feel what it’s like to be fulfilled in love. If it’s a more prosperous way of living – visualise living in that bigger house, driving that new car. Once you inhabit what you seek in your imagination (as though it’s already happening) with consistent energy and focus – and at the same time let go of tension and control – you create the optimum environment for it to show up in your life. The ‘art of manifestation’ penny finally dropped with me listening to the fabulous Abraham-Hicks teachings – one of my all time favourites. Abraham-Hicks explain that it is not really a matter of ‘manifesting’ in the sense of creating things out there and moving towards them. Rather, we simply create the energetic magnetic field within ourselves, keep a relaxed focus and allow those things (that have already been created simply by our wishing them) to move towards us – something they will inevitably do. It is a question of ALLOWING – not earning, not winning, not acquiring – simply resonating with and then ALLOWING. Another of my favourite teachings comes via Wayne Dyer in the form of the Ah Meditation. Like the Abraham-Hicks teachings, this practice has long been integrated into my coaching and workshops. The Ah meditation is a perfect way to develop 100% intention and 100% surrender. It is a simple, short and powerful manifestation technique that will catapult your efforts into hyperdrive! 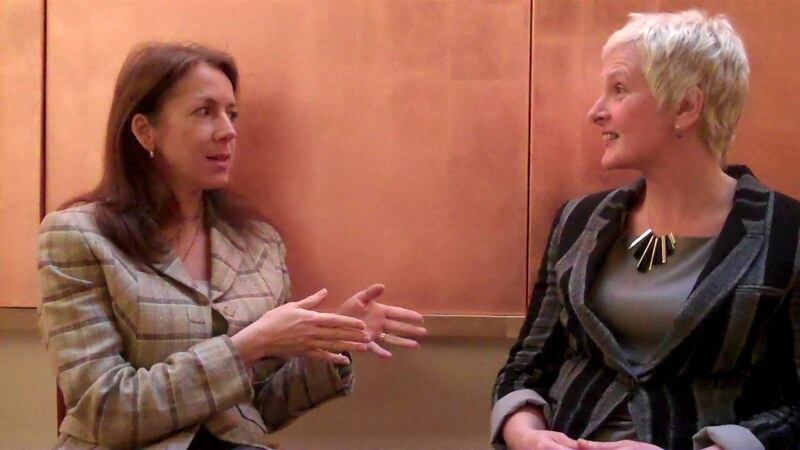 In the following videos I am teaching the Ah meditation at the Entrepreneurs Find Inner Wisdom event (attended by Rachel above), followed by a guided practice. 100% intention + 100% surrender = manifestation. 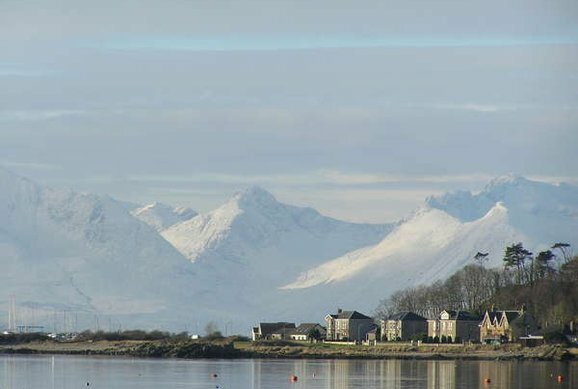 Three of us – Patrick Edgecombe, Iessaiah Ma Ki Zedek and I – are holding a broad, inspired vision to move to the Isle of Cumbrae, Scotland to live and work together and establish a holistic retreat. Yet we are holding it lightly – so Life/Love/God has space to move without us getting in the way, surprising and delighting us with the details, presenting opportunities we hadn’t imagined. There are numerous questions and scenarios and factors to take into account, much yet to fall into place, but the overarching feeling is of complete faith and trust that all is unfolding exactly as it should. I’ve had this experience many times in my life before, but never as strongly as this. It really feels like we are keeping the focus powerfully, yet yielding to a divine purpose much greater than the three of us can see. The synchronicities, positive signs and good omens are showing up thick and fast every single day, endorsing and enabling this move to Scotland together. What a marvelous energy to be part of, even more so as it is such a collective thing. And it is not just the three of us. We are part of a powerful network of friends, family and colleagues who are supporting us (thank you Amy Webb, my fantastic family and dear Thrivecraft Abundance tribe in particular) and willing us on. We are doing this together and it feels wonderful. Thank you. Love is all. Here is my new home study programme to discover and make great use of your own, reliable inner wisdom. Equipped with this magical personal resource, you will be able to find answers to questions, solve problems and make decisions from the deeper, wiser part of yourself that knows best. 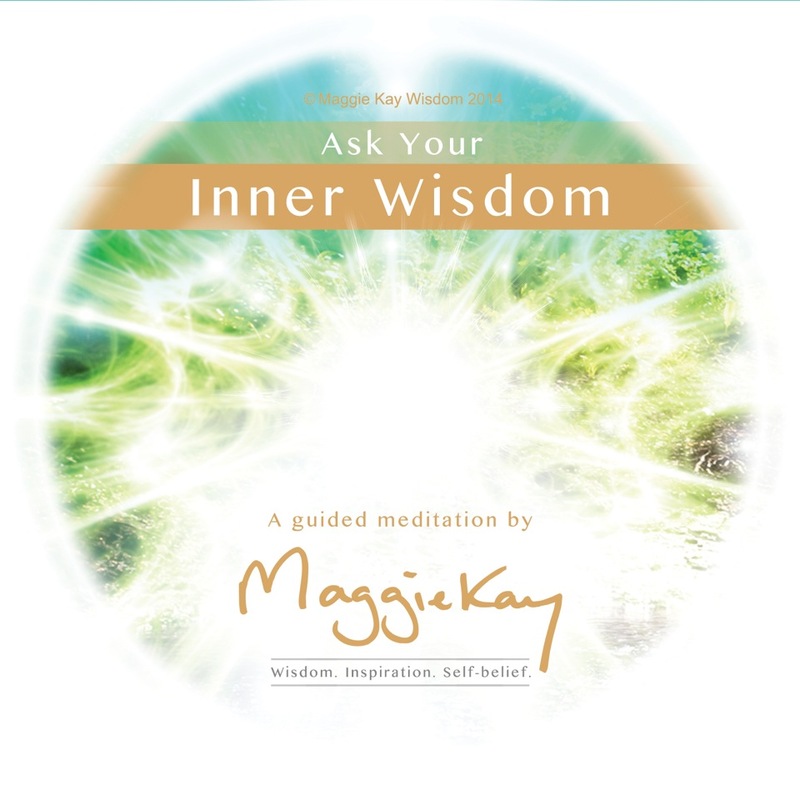 This easy, uplifting and powerful programme enables you to find, activate and consult with your own ever-ready, trustworthy inner wisdom. Simply relax each day with a short guided meditation, video lesson and bonus resource to take you on your transformational journey (approx 30 minutes a day at your convenience). Waking up your wisdom is a life changer! Huge thanks to the amazing team at Source TV who have supported me to launch this exciting new programme. Set Your Life Free – workshop coming soon! We are all so clever. Me too – what a clever clogs! Whirrrr goes my mind – working it all out, coming up with all the plans and solutions… But now and then I hit a brick wall. My intellect can take me no further. In fact it has sometimes gotten me into quite a lot of trouble – taken me down wrong roads, round in circles or smack into the bricks. Like most of us I have a very strong work ethic – if only I work harder, put in more effort, I will EARN my right to have or be this or that. Except that pure mental exhertion is not the whole story and it is not sustainable. Sooner or later it becomes counter-productive. By narrowing down our focus to a solitary slog of the intellect we shut out the natural supply of support and energy all around us in other dimensions. It’s like a plant squeezing closed its roots and refusing the sustenance of the soil. A year ago, whilst living in the Wild Field, I was contemplating my relationship to money, wealth and prosperity. Despite months of thinking, planning and action around making a better living, something was compromising the flow of abundance into my life. I decided to undertake a 40 day spiritual programme – The Abundance Programme by John Randolph-Price – to explore what unconscious attitudes might be holding me back. Soon into the programme, I uncovered my main ‘vanity’ – an attachment to the idea that I was soley responsible for coming up with all the answers. My pride meant that I was shutting off receptivity to support from elsewhere and it was only when I finally admitted that I’d run out of ideas that any of that was available to me. Here are a couple of videos I recorded at the time – very much in the spirit of Raw and Real in the Wild Field (a no frills spontaneous video diary). I knew one day I’d be brave enough to show some of them to you! This first one is my basic ‘Aha’ moment about where I’d been going wrong…. And a few days later into the Abundance Programme, this is my video report on how I had already started to attract money from surprising places.